This year I’ve decided to get back on track with some of my fitness goals. Last year I have to say I indulged a little too much. For this year, I’ve decided to finally get fit, lose some extra pounds and commit to a healthier diet. The hardest part sometimes can be just taking the first step. I know many people put their health and fitness goals on pause simply because they think it means not enjoying the food and drinks they love. I have to admit I was one of them. 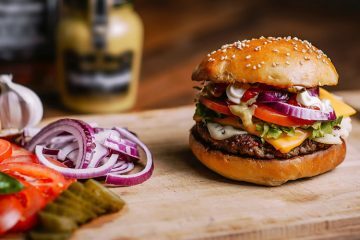 We get a little too hooked on the bad foods and lifestyle choices that we feel we just can’t live without. That just isn’t so. What works best for me is making small changes day by day and making those healthy choices a part of my lifestyle. I began simply by drinking a lot more water and cutting back on high-calorie coffee drinks. I then committed to dinners that were mostly protein and veg. No rice, pasta or bread. I’ve already lost 5 pounds since the New Year. I’m excited! In order to stay motivated and stay on track, it’s important to incorporate some of the things I love to do into my healthier lifestyle. When you love what you’re doing it doesn’t have to feel like work. That’s why I’ve made yoga and my love for cooking an integral part of my health and fitness journey. 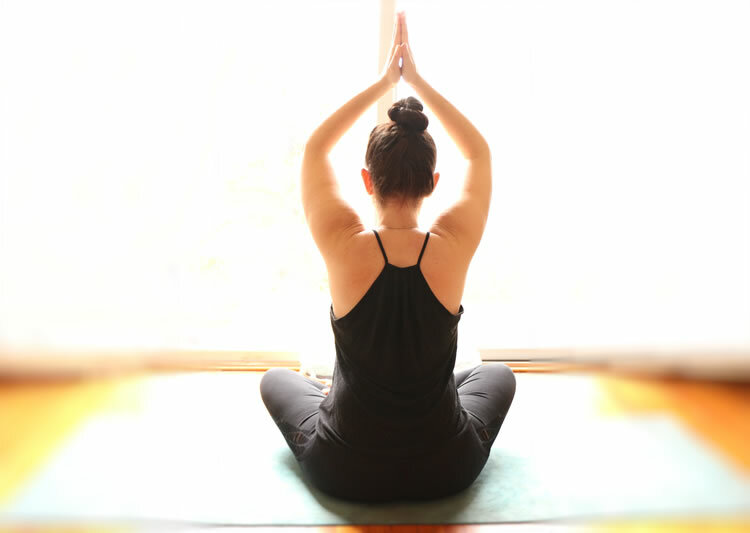 Yoga not only strengthens muscles and increases flexibility, but it also promotes true relaxation. Like a meditation in motion, yoga is my favorite way to release stress. I feel like it puts me in such a great frame of mind. Cooking is also somewhat of a meditation. For me, there’s nothing more satisfying than taking fresh wholesome ingredients and turning them into a healthy and delicious meal. And when you’re able to make healthy dishes that taste good you’re less likely to turn to some of the bad stuff that will knock you off track. One of my favorite ways to add tons of flavor to dishes is to use lots of spices. When you learn to cook with spices you can make foods that some would normally be considered bland or boring bursting with flavor. Spices are not only super versatile in the kitchen but are packed with nutrients, antioxidants, and health-promoting benefits. Cajun food is one of my favorite foods on this planet. 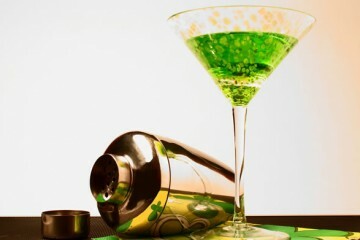 And with Mardi Gras just around the corner, I’m starting to crave the good stuff. 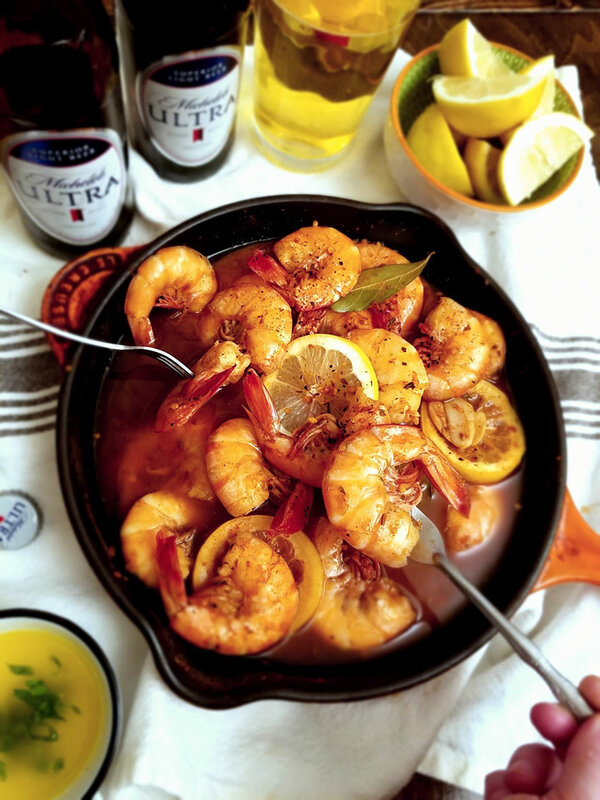 One recipe I like to make in order to stay on track is Beer Steamed Spicy Cajun Shrimp. Low carb, full of protein, spicy and satisfying. And guess what? If you love a beer now and again like I do, you don’t have to sacrifice it to maintain a healthy lifestyle. You can still reach those fitness goals. 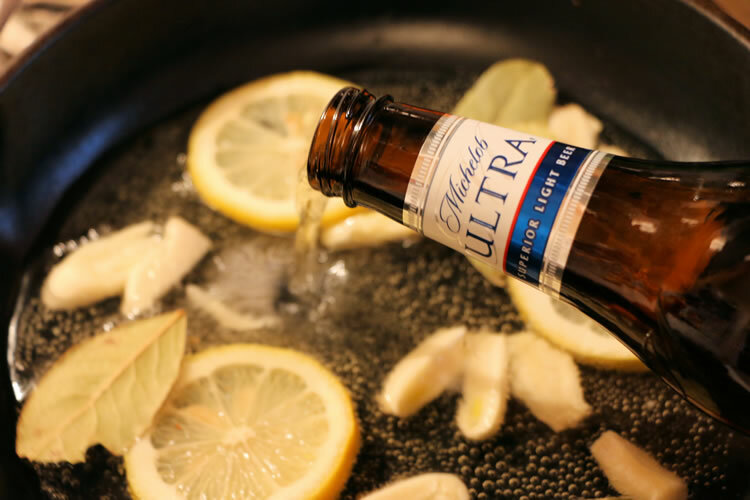 We recently found out that Michelob ULTRA has only 95 calories and 2.6 carbs. I was shocked! Who knew beer could be that low in carbs? You no longer have to be the one at the party with a club soda feeling left out. 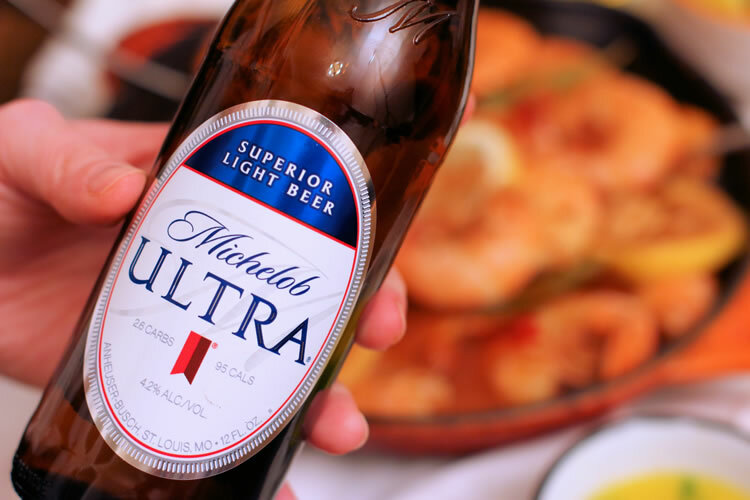 Michelob ULTRA is a yummy light style beer that you don’t have to feel guilty about drinking. Or cooking with. How great is that? 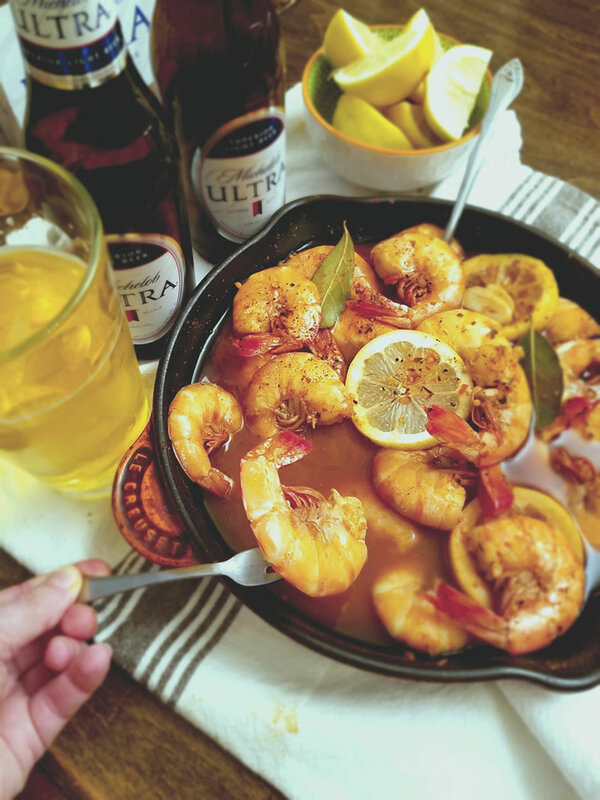 To make these Beer Steamed Cajun Shrimp a meal simply serve it with a salad, steamed red potatoes or some roasted veggies. This quick and easy steamed shrimp recipe uses light beer and cajun seasoning to add lots of flavor without all the extra calories. In a medium saucepan, combine the beer, garlic, bay leaves and lemon slices. Bring to a boil and then lower heat to simmer for 5 minutes or until garlic is soft. Add the shrimp and then the cajun seasoning. Cook for 4 to 5 minutes turning the shrimp if need be for even cooking. The shrimp is done when both sides are pink and opaque. 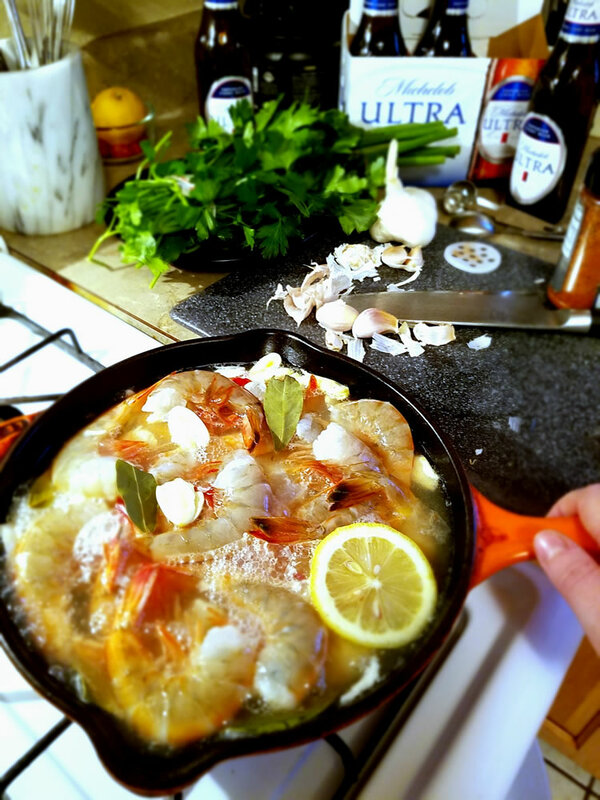 You can drain the shrimp or serve as is in the pan with the beer broth. 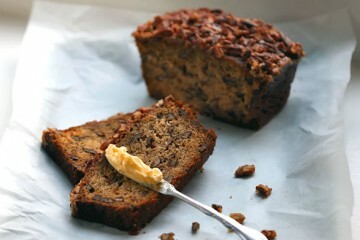 Serve with slices of lemon, drawn butter or hot sauce if you like. Tip: If serving with melted butter, mix with half lemon juice for all the flavor without all the calories. << Looking to get back on a healthy track? You just have to take the first step. Let us know comments what some of your fitness and healthy lifestyle goals are for this year !!! Looks delicious! Can’t wait to make these for dinner! But instead of the traditional Cajun Seasoning, I ordered the Crawfish with the Greyson’s Special Seasoning, but Spicy. The Crawfish flavor and seasoning was different. A garlicky seasoning and spice crawfish that paired nicely with the Garlic butter.